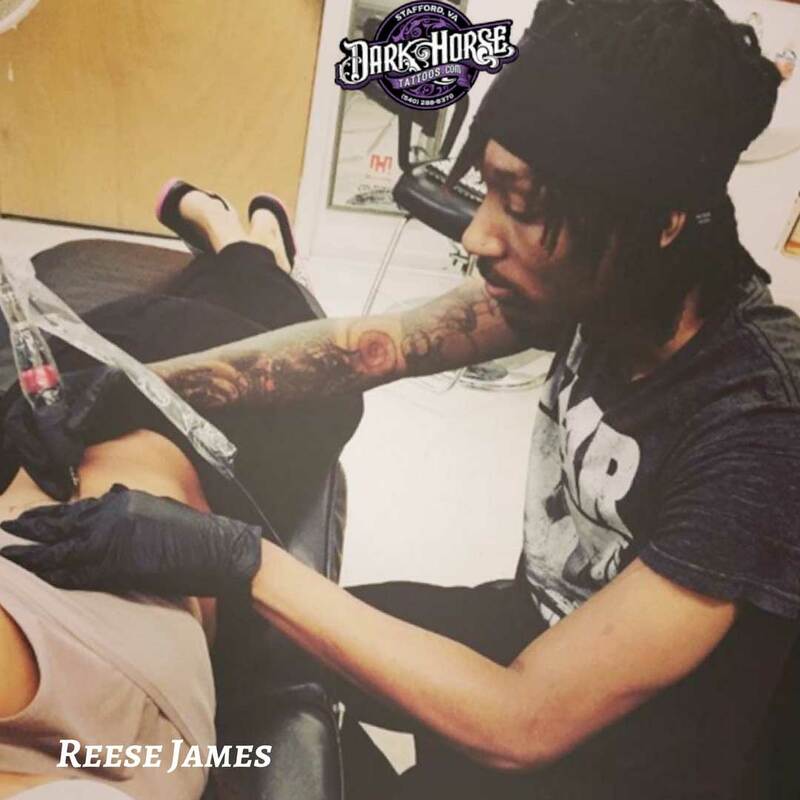 I go by Reese, to sum things up, I’m currently tattooing in Stafford, VA at a shop called Dark Horse, alongside two other artist, Cat and Jon. I’ve been tattooing for about 3 years now. I got my first start at a shop called Tattoo Clinic in North Platte, NE. I’m originally, from Chicago, but I’ve pretty much resided everywhere. Tattooing is the best job in the world, therefore, I intend on doing my best. Executing great work and making my daughter proud is my ultimate goal.